You will Watch G.I. Joe: A Real American Hero Season 1 Episode 51 online for free episodes with HQ / high quality. Stream cartoons G.I. 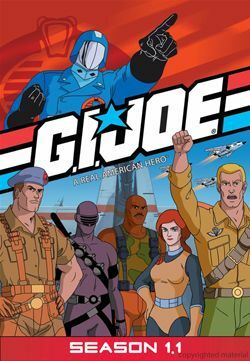 Joe: A Real American Hero Season 1 Episode 51 Cold Slither After Cobra is disbanded, Destro invents a “subliminal enslavement program” to bend the will of the population to Cobra’s way of thinking. In order to use the program, Cobra Commander gets Zartan and the Dreadnoks to form a rock n’ roll band called “Cold Slither” to perform music with subliminal messages as part of Cobra taking control the minds of the masses. But Breaker, Footloose, and Shipwreck get caught up in the music and go to their concert, making G.I. Joe come after them and put a stop to Cobra, forming their own band called “The Average Joe Band” to please the audience.